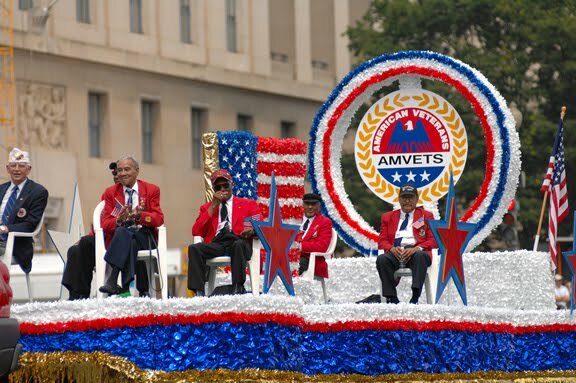 Party Ideas by Mardi Gras Outlet: Memorial Day Parade in Washington, D.C.
We love a good parade down here in Louisiana. So I thought I would pass along some pictures of the National Memorial Day Parade held in Washington, DC on Memorial Day. The National Memorial Day Parade features legendary veterans of the U.S. military, and has included the Band of Brothers, Doolittle Raiders, Flying Tigers, and the Tuskegee Airmen (shown above). If you couldn't be there in person at least you can watch from home. Check out the parade coverage at the National Memorial Day Parade website. A parade...what a great way to spend Memorial Day!